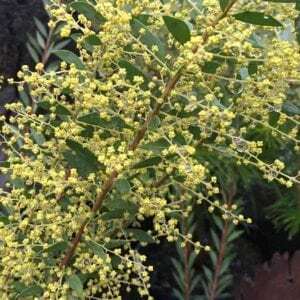 With masses of golden yellow flowers, Acacia boormanii is a versatile shrub. It grows well in poor soils and makes a good small screening tree. With flowers that last for well over a month, it adds colour to the garden in winter months. Common Name – Snowy River Wattle. Height – To around 3 – 4 metres plus. Spread – To around 2 metres plus.